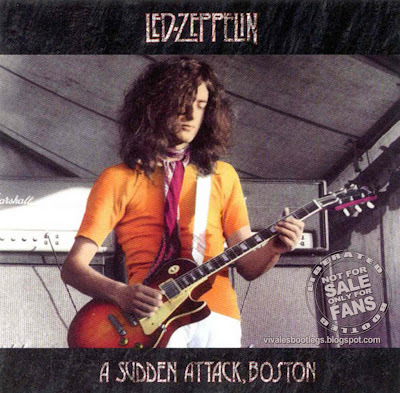 Recorded Live at Boston Tea Party, Boston, Massachusetts, USA - January 26, 1969. Very Good Audience recording :: Bootleg Silver CD :: Lossless FLAC. Files: 10. :: Size: 549 MB (flac). 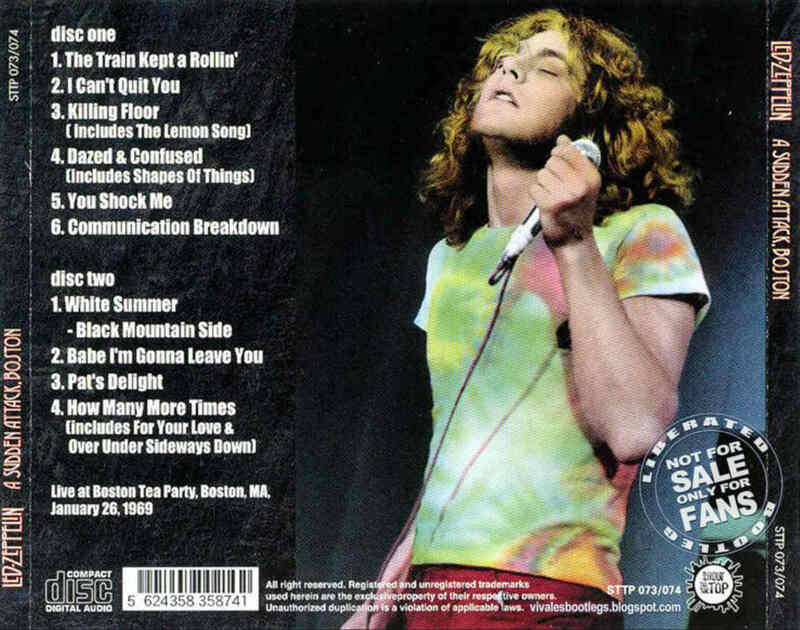 Notes: An amazing show... this could be quite possibly one of the the best Led Zeppelin concert from 1969. The sound is vibrant and crisp and the playing is amazing. Jimmy's soloing throughout is nothing short of breathtaking and Jones' thundering bass and Bonham's amazing drums only add to it, as does Robert's crystalline and wonderful voice. An incredible show ... one of the very best! Some sources reports that another set of rock 'n' roll medleys was performed but a big care must be taken with these statements. - Argenteum Astrum.<-(Info taken from original info file). Thanks for Led Zep. Your site really rocks. Keep up the great job. Best, K.